I am just as mortified as everyone else at the level to which some of our fellow citizens will descend to earn a few bucks in what the media has labelled the “laglag-bala” or bullet drop scam. 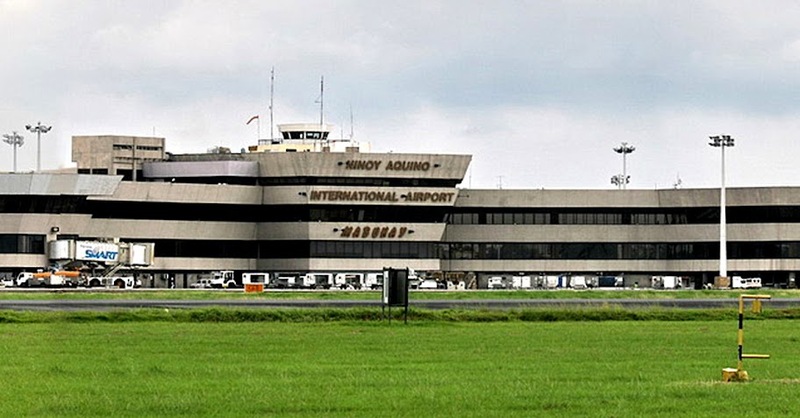 The airport is supposed to be a place for fond farewells, where citizens leaving will already be dreaming of when they will be coming back home and where foreign visitors start to think of what they will say of the Philippines when they arrive in their respective countries. The scam, and especially now that it has been picked up by the foreign media, has instead made both citizens and foreigners wary if not altogether fearful of arriving in this country. Every day at least for the last fortnight, the evening news has carried at least one new incident of travellers being accosted at the airport for possession of bullets. This in itself is a curiosity. You would imagine, now that an exposé on the scam has been made in the media, that its perpetrators would want to lay low for a while or until the heat has blown off. One then stops to wonder if a) these very perpetrators are so brazen that they think they can get away with the scam even with the entire world’s attention focused on them; b) desperation for money makes them go on even despite the increased risk of being caught; c) they are just plain stupid; or d) some of the incidents shown to us by the media are not part of the scam at all but just security personnel doing their jobs. One case was particularly curious: an OFW headed for Hong Kong whose handbag was allegedly found to contain a bullet. The OFW was insistent that she did not put it there; and the security personnel interviewed was equally insistent that the said OFW knew where the contraband was located and took it out herself when asked to do so by airport personnel. Since none of us knows the truth, we need to give either side the benefit of the doubt and not pass immediate judgement. The anchors of TV Patrol have suggested that many of these incidents appear to be a failure to use common sense. I rather tend to agree with them, if with some reservations. Of course, even assuming that the aforementioned OFW did indeed place the bullet inside her own handbag, the overriding question always was what harm the bullet could possibly do without a firearm. Another airport security personnel, attempting to defend the actions of her co-workers, tried to point at the safety angle and what could happen to a bullet in altitude under the pressurised confines of an airliner. That line of thinking is probably one for the Myth-busters TV series. Indeed, British Airways allows a limit of 5 kg per person of ammunition as per IATA rules, of course with the expected proper notification, licenses and documentation. Another explanation given was more acceptable: that accosting carriers of bullets in our airports is in a way protecting these same travellers from the destination airports, many of which have more stringent prohibition rules than ours. Perhaps the first question we all ought to ask assuming that that OFW was indeed carrying a bullet in her handbag was what, pray tell, did she intend to do with it given that she apparently was not even carrying a firearm. At this point, an official government announcement made in December 2013 through its Gazette gives us an insight. This announcement reminded Philippine nationals traveling to Macau not to bring amulets made of bullets into the territory. Obviously, enough of our fellow Filipinos were doing this to alarm government into making the announcement. That the announcement was made almost two years ago tells us that the practice has been going on long before the laglag-bala scam came into national consciousness. I have for the longest time known of amulets that allowed those who possess them dodge bullets fired at them. However, bullets that are amulets in themselves is an entirely new notion to me. I have scoured the Internet in an attempt to understand these with little success; and the closest I came to an explanation was an article published by ABS-CBN news in an article earlier this month. The article cited a statement made by PNP-AVSEGROUP spokesperson Supt. Jeanne Panisan that said that some Filipinos carry bullets “as talismans against unknown dangers abroad.” How this is supposed to work exactly, I still have to discover. The perpetrators of the laglag-bala scam, therefore, or so Panisan pointed out, exploit this superstitious belief to make money under the table; and even cite the Philippine gun law for their own twisted ends. What is deplorable is that they stain all of us with this scam, which paints a horrible picture of the country. These unscrupulous personnel need to be weeded out; and it is just as well that the NBI has been brought in to sort the problem out. I am all for these people being caught and rightly placed behind bars; but at this point a few things need to be said as well in light of the daily media barrage about the scam. In its eagerness to expose the scam, media has also probably overlooked the opportunity to educate Filipinos that carrying bullets, even if they are used as talismans and nothing else, is still illegal unless one possesses the proper licenses and documentation. Second, there is risk in living abroad just as much as there is living in this country. Therefore, there really is little logic to carrying the bullet at all. The best protection when living abroad is arguably to know the laws and conventions of the adopted country and abide by the very same. This is something that media can very well educate the public with. Finally, not all the incidents reported to us each night in the evening news are part of the scam. Some are just security personnel trying to do their jobs, unfortunately tarnished by the unscrupulous among their ranks.